What are the options for numeric fields? 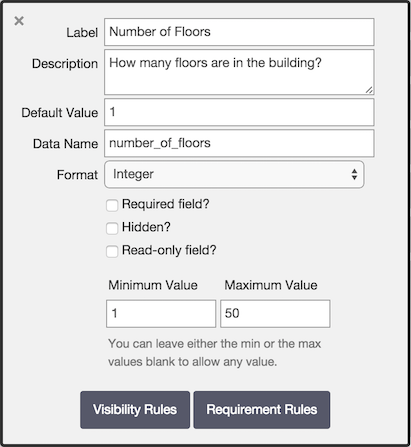 Numeric fields have a few unique options for controlling data entry. Numeric fields can only accept mathematical numbers, it can not be used for capturing values like formatted phone numbers. It will be better to use a text field type. Numeric fields do not support leading zeros or trailing zeros (degrees of precision). For this a text field type would be better.